I was impressed by Annia's determination to get into cycling, as it was quite new to her at that time. She's made lots of progress and is doing some pretty decent times in her time trials. 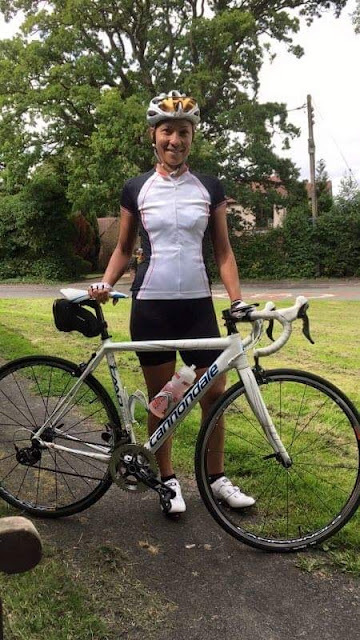 I started club cycling four years ago because I wanted to take my cycling to a more competitive level, meet other cyclists, including women and be more involved in the cycling community in the Manchester area. I am originally from Cuba and was born in a town called Colon, Matanzas province. I have lived in Manchester since 1998 when I came from Cuba with my ex-husband, a Mancunian, whom I met over there. My childhood was lovely, and my education in Cuba was great. It is not a developed country but I had the basics. Life in Cuba can be as tough or as easy as you make it, and as Cubans we are brought up to believe in ourselves, smile, and be friendly. I didn’t do any competitive cycling at all when I lived in Cuba, just cycling to get from A to B. Cycling is not such a popular sport, as people are more interested in baseball or basketball. At the time when I lived in Cuba, there were no cycling clubs. Perhaps some have formed in the last 15 years, but I don’t know of any. In any case the number of professional cyclists in Cuba is pretty low. Some people are interested in cycling but it is difficult to pursue as an elite sport due to the lack of facilities needed to develop. In the last couple of years when I have visited Cuba I have been cycling, and it is quite a contrast to cycling in Manchester, as you would expect! I have gotten used to cycling in the cold, rain, and wind in Manchester, whereas in Cuba I have to cope with 70–80% humidity and extreme heat, especially between May and July. For that reason my rides have to start at around 5:30/6:00 am and I get in a one-and-a-half hour bike ride, if staying in the town. Otherwise, I head towards the beach where I can ride for a little longer. The other difference is that the roads in Cuba are less congested than in Manchester. Even in Havana it is reasonably easy to get around by bike. Car drivers are more cycle friendly than in Manchester, and there is plenty of space on the road for cyclists. Nowadays I do time trialling. I started doing them last year and enjoyed it so much I decided to focus on that, training for them over the Winter to get me ready for the Spring and Summer events. 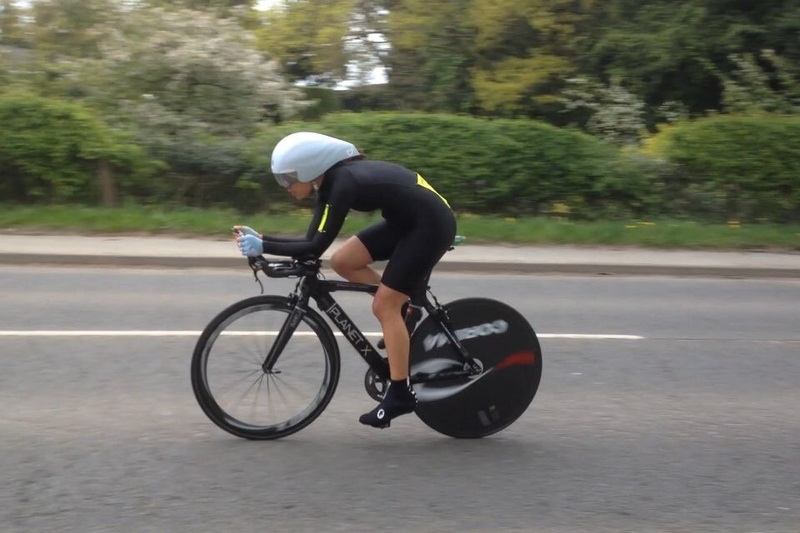 What I really enjoy about time trialling is reaching a high speed on my bike on the aero bars. It’s a great feeling! It’s hard, but very rewarding once you finish a race. In Summer I usually try and do a training ride at least three times a week. My rides are generally short with interval efforts, either on my own or ride with friends. In Winter I try to keep up with the rides, weather-permitting, but I prefer to use my turbo trainer. The sessions are tough, but all worthwhile to keep me fit for Summer rides and events. I love the scenery that Cheshire possesses. There are many narrow lanes but they are generally pretty, quiet and full of friendly cyclists. I can’t really say the same about cars, in terms of being cycling friendly but it is getting better. I have my favourite Cheshire routes and never get bored of riding them again and again. Artists Lane in Alderley Edge and The Brickworks, near Bollington have become addictive to ride! They are tough hills, but not impossible. You always get a good feeling when you reach the end of both. As a woman riding on my own, I have to be prepared for the encounters that cycling can have. I never leave my saddle bag behind without my essentials: inner tubes, tyre levers, money (small change), mobile phone. Also, a small air pump, bottles of water, and a few packets of cereal bars. Manchester Wheelers, where I am a member, is a great club to belong to and cycle with. They have cycling events going on all year round to choose from. I have done a few events with them this year and last year, and they were all good fun. Being a single mum is hard, but I try to be as well-organised as possible. Taking care of my daughter and providing for her is my top priority. I have just started studying full-time, which makes it even busier for me to find the spare time to ride my bikes. On top of that I run a small part-time business from home, so every single day for me is a challenge. My eight-year-old daughter, Lara had learnt to ride a bike by the time she was four. I guess she didn’t have much of choice, having both parents completely devoted to cycling! However, she’s not really into cycling unfortunately. She has travelled with myself and my ex-husband in the past to watch many cycling events and races, including The Tour of France. She has been a spectator in many of the events I have taken part in, and even been with me when I was marshalling at the club events. Being a single mum means that she sometimes has to sit beside my turbo trainer reading a book whilst I do a session, and she has even mentioned that she would like to try the turbo one day. But she has shown no interest in taking part in a race yet. Football seems to be her inclination at the moment. Having said that, Lara cycles to school, and does off-road leisurely rides. She has even ridden some long distances with her dad. They did a two-day cycling trip to Southport last year, which involved doing about 30 miles a day. At that time she was seven years old, which is fantastic for her age. For me, the most important thing is that Lara enjoys practising a sport, no matter what. There are many ways to be competitive and I think she is too young to be pushed towards cycling. I think interest will drive competition and she will only work that out herself. 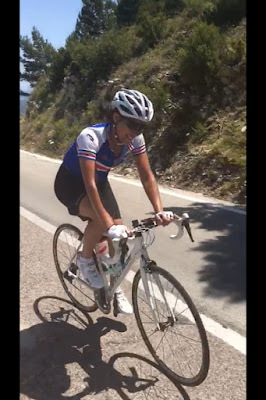 She might one day realise that cycling is more fun than what she thought, and the ambition to practise it at a competitive level might start from there. Cycling is my passion. I have met some wonderful people on the way, and they have even taught me to dress up according to the weather, and how to keep fit and healthy! My bikes are always at the ready to sneak in a ride at any time of the day when I get a spare moment. I can’t believe my bikes have taken me to places I only previously dreamed of going to.